Each Tank Assembly contains a 1.2 metre diameter fuel tank able to contain a single propellant including water, LOX, methane, RP-1 or AF-M315E. The RCS thrusters can be used for station keeping or, when synchronised, to spin up the spacestation. There are two sets of valves and pumps which attach to the interconnecting pipes. The Assembly is equipped with a solar panel and cooling radiator. A small propellant depot designed to supply cubesats, small satellites and interplanetary probes with fuel. The cubesats dock and fuel at the centre port using standard connectors. 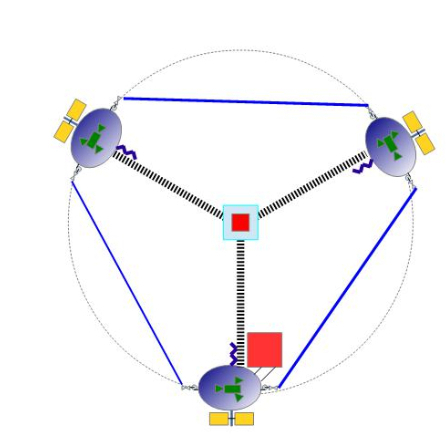 The docking port's pump can be placed into reverse when refilling the Tanks.The RCS thrusters are used to adjust the 5 metre radius spacestation's orientation and speed of rotation, thereby supplying the Control & Specimen Module (CSM) with artificial gravity. The gravities of Earth, Mars and the Moon are easily simulated. 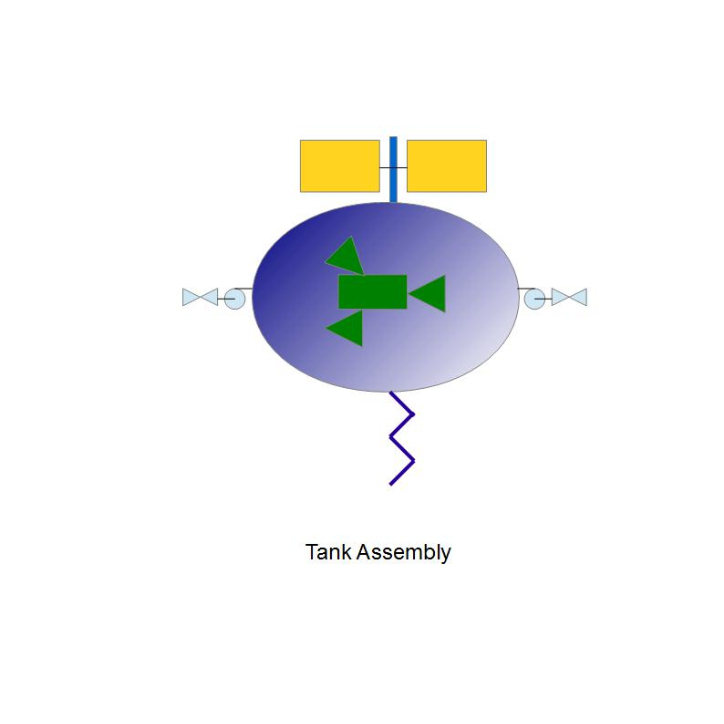 To reduce vibration, by keeping the centre of gravity in the centre, the Tank Assembly attached to the CSM normally contains less propellant that the other two tanks.